News organizations have distinguished between their mobile and desktop sites by the size of their screen. The news experience between the two has remained the same. News sites are designed to be mobile first, but they’re written on the desktop. Most of the top 50 digital news websites get more traffic from mobile than the desktop, but time spent on mobile sites is usually less than that on the desktop. Mobile news sites currently offer a user experience that is sized down from the desktop, while articles and visuals are chosen with the desktop in mind. Meanwhile, Snapchat, Instagram Stories, and messaging bots are leading the way for mobile-native experiences. They are training users on videos that are raw, visual, informative, and short. They are bringing chatting to news and a quick look at the headlines. Compare that to the chopped-down, headline/photo/text format that most mobile news sites offer today. Mobile news will have to be untethered from the desktop. Digital-native news organizations have developed their own voice for the web. Now it’s time to bring on mobile-native experiences and content. Instead of a one-size-fits-all for digital, news organizations need to create videos and stories that work for mobile — separate from the desktop. For instance, behind-the-scenes look into how a news organization covers a significant event can be raw video footage that readers can follow along in real time — available only on mobile. Group chat on mobile including reporters can build a community. Short stories or bite-sized pieces of information — what magazines feature at the front of the book — could make a comeback for mobile. There will be greater emphasis on visuals, interactivity that goes beyond clicking on parts of a story or a graphic, and videos and articles that are quick updates. Mobile news sites will be redesigned to accommodate these pieces — users will have navigation choices that go beyond list and card views. Not everything that goes into the desktop version needs to go into the mobile site, or vice versa. How far news organizations go in creating unique mobile experiences will depend on how much they are willing to innovate. Mobile news sites that draw in users and offer a different experience will create new opportunities for advertising that can stand on its own on mobile or tie together the mobile and the desktop experience. 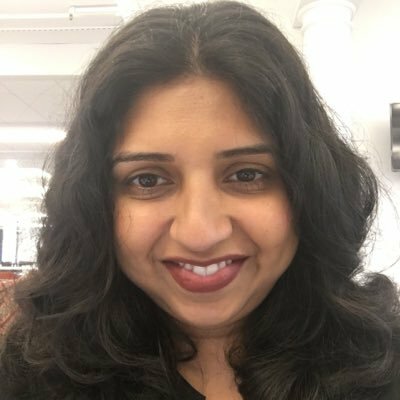 Priya Ganapati is director of product for Quartz. Dec. 13, 2016, 1:30 p.m.